With a number of positive feedbacks on our Azure Certifications Training Courses, we had continuously been receiving requests for the AZ-203 training course. So, considering your invaluable demand, we are happy to announce the launch of the AZ-203 training course that contains AZ-203 online course and hands-on labs along with AZ-203 practice tests. Eager to know what will you get in this Whizlabs AZ-203 training course? Let’s first understand the AZ-203 exam and then we’ll unveil the contents of the AZ-203 training course. And you will get to know what’s there inside the AZ-203 online course and practice tests, and how they will help you in your AZ-203 exam preparation. 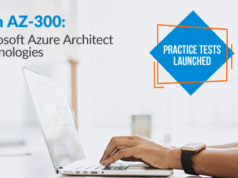 Exam AZ-203 is intended for the Azure developers who are responsible for designing and building cloud solutions such as services and applications. These candidates are actually involved in all the development phases such as from solution design to development and deployment and to testing and solution. Proficiency in the development of apps and services with the use of Azure technologies and tools, including security, storage, compute, and communications. Understanding of at least one cloud-supported programming language. The new AZ-203 exam is a combination of previous AZ-200 and AZ-201 exams. 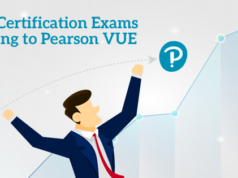 So, it won’t be so easy to pass this certification exam. 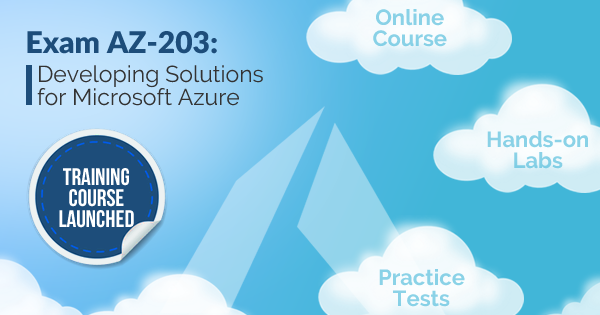 So, we recommend you follow the comprehensive preparation path to pass the Azure AZ-203 exam. Aspired to become a Microsoft Certified Azure Developer Associate? Follow this definitive AZ-203 exam preparation guide and get ready to pass the exam. What are the Topics Covered in Whizlabs Azure AZ-203 Training Course? Whizlabs AZ-203 online course videos do not just prepare you for the AZ-203 certification exam but extend your knowledge and skills to provide you an extra edge over other candidates with its self-study online training videos. You will get the complete Whizlabs AZ-203 training course without spending too many bucks. AZ-203 online course contains training videos on all the domains covered in the AZ-203 exam. The AZ-203 training course has been created by our experienced team of certified professionals and subject matter experts, so will make you fully prepared for the AZ-203 exam. Here is the list of topics covered in the Azure AZ-203 online course. What Will You Get Inside the Whizlabs AZ-203 Training Course? Whizlabs AZ-203 training course is not only the online video course but also offers practice labs and practice tests. It is a complete study package that completely prepares you for the AZ-203 exam. Let’s see what are the preparation resources you will get with the Whizlabs AZ-203 training course. The complete tutorial video comes with a valuable amount of information that is required to prepare you for the AZ-203 exam. AZ-203 online course contains total training videos of 9 Hours 26 Minutes which covers all the necessary exam objectives. The course also comes with 3 practice sets of 165 unique practice questions, 55 practice questions in each practice test. Through these practice tests, you can practice a good amount of questions and get well-versed with the exam objectives. The new offering of Whizlabs is hands-on practice labs. Now, you can do hands-on practice and have real-time experience for the domains covered in the exam. The hands-on platform is totally free with the AZ-203 training course. All the training videos are self-explanatory and if you try a bit more hard with focus, you can prepare for the exam with no extra effort. All the study guides and practice tests are sufficient and you do not need any reference or extra materials to check your preparation level other than this course. AZ-203 training course offers a free test of 15 questions and 3 free video trails to gauge your performance and have a free trial before purchasing the full-length training course. Along with the AZ-203 training course, you get free access to hands-on labs. 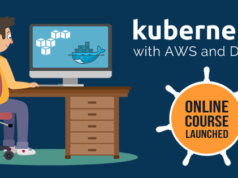 So, now you can gain real-time experience and get your hands dirty with the hands-on labs. In conclusion, Whizlabs AZ-203 training course covers the objectives of the exam are completely and thus helps you to get fully prepares for this certification exam. It completely prepares you to meet the exam requirements and objectives, practice it with confidence and get ready to pass the exam. Whizlabs AZ-203 integrated course is a complete package for your AZ-203 exam preparation and you will not require anything extra after this material during the exam preparation. So, enroll now for the with the Whizlabs AZ-203 course and start your preparation with force.